What is better than eco-friendly building blocks? 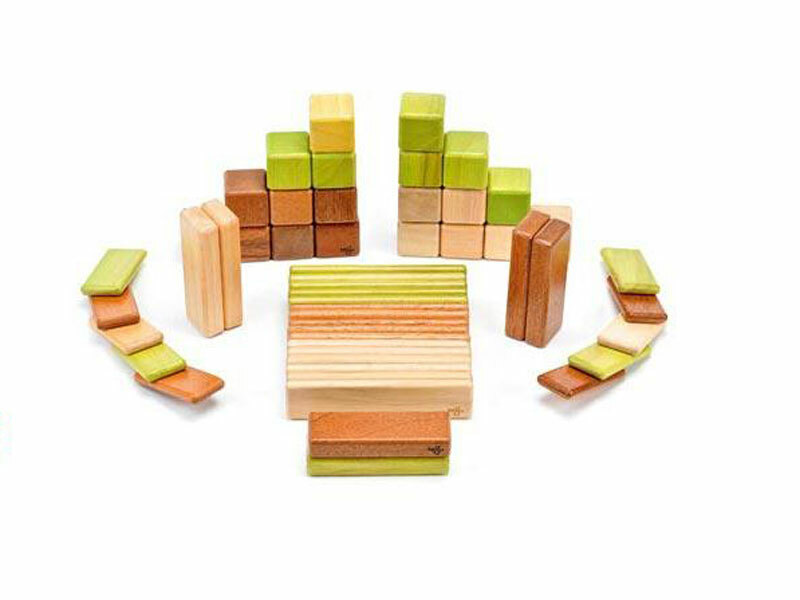 How about MAGNETIC eco-friendly building blocks in beautiful vibrant colors! 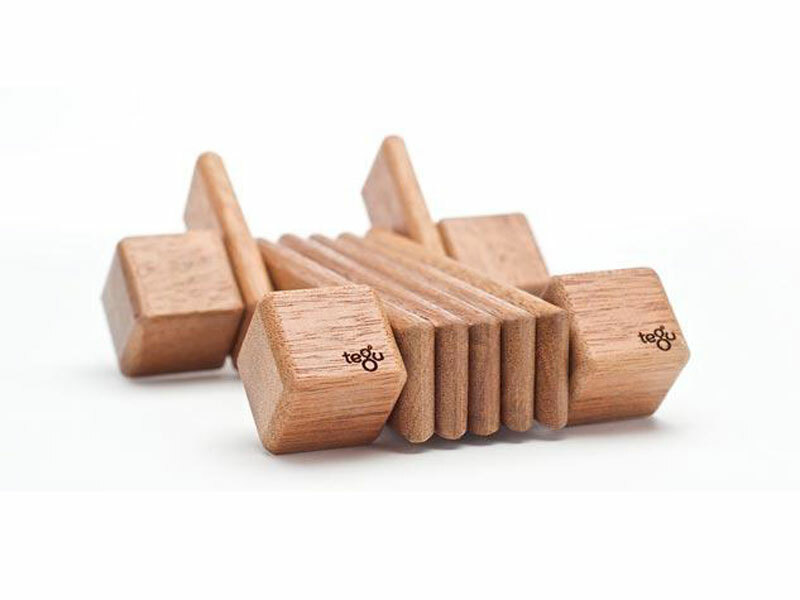 Tegu's gorgeous eco-friendly magnetic blocks have been inspiring kids to play and build since they debuted their clever invention in 2009. Looking at these seamless wooden blocks, you'd never guess that there is a magnet hidden inside, but those carefully concealed magnets make for an addictively tactile building experience where blocks snap together almost by magic. 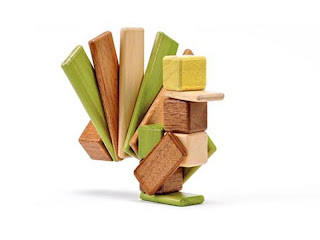 Tegu Blocks' magical magnetic building powers that let kids build cool and complex designs like no other, but the story behind these amazing blocks is even more impressive than their arboreal magnetism. After seeing children live off less than $1 a day working in a landfill, Tegu founders and brothers Chris and Will Haughey wanted to build a children’s toy that would benefit struggling, poverty-stricken Honduran families. 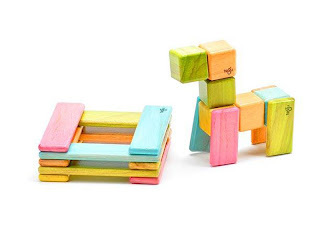 They came up with these wonderfully colorful magnetic building blocks that use sustainable and natural wood sourced in Honduras, and non-toxic water-based coloring. 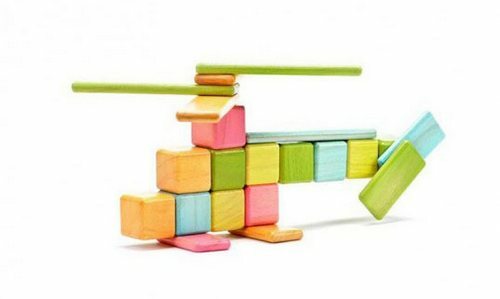 With the use of hidden magnets inside the blocks, you can now build 3D-like structures! 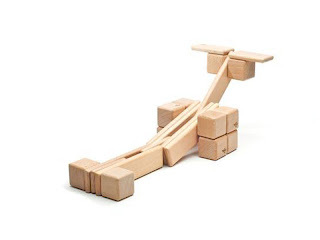 The magnets are pretty strong too, so gone are the days where you have to worry about your amazing tower falling down because someone knocked it over. Tegu’s block sets comes with various shaped blocks, from long planks to small cubes. By purchasing one of the sets, you can choose between sending a child to school for a day or planting a tree in the Honduran forests that have been destroyed by clear-cutting. Find out more about these fun eco-friendly and addicting blocks and how you can help out a Honduran family!